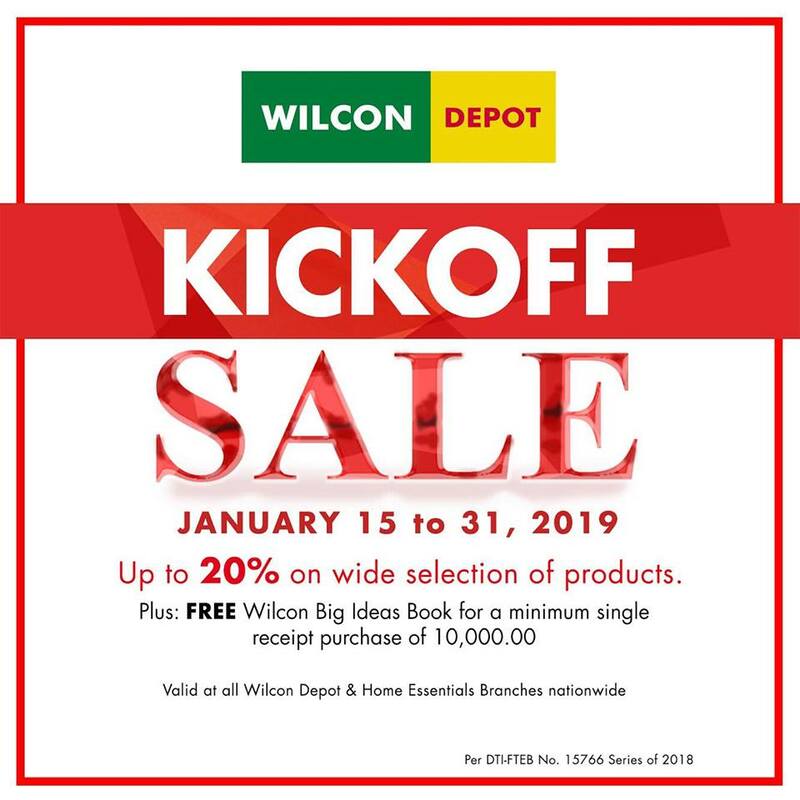 Kickoff your 2019 by enjoying a great discount with Wilcon Depot's Kickoff SALE, happening until January 31, 2019! Save up to 20% off on a wide selection of home building products and get a FREE copy of Wilcon Big Ideas Book for a minimum single receipt purchase worth P10,000. Shop now at any Wilcon branch nationwide!